2004 brilliant uncirculated five pound crown (quintuple Sovereign). Boxed, with original certificate of authenticity. Free insured shipping and 2% discount applied if paid via BACS. 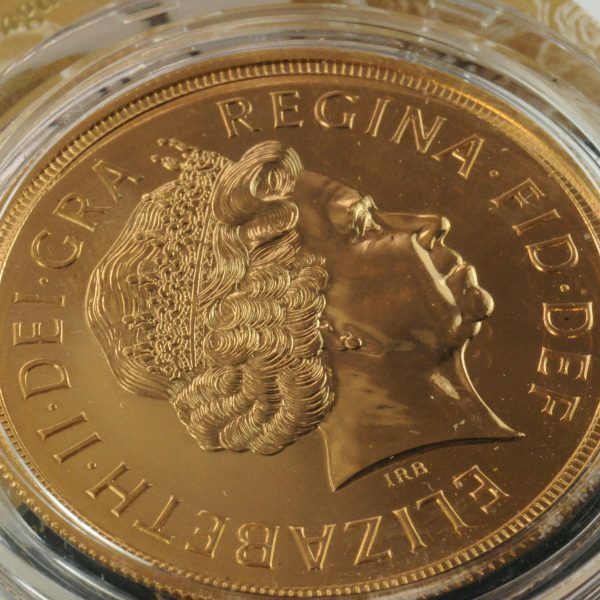 The 2004 brilliant uncirculated five pound crown (quintuple Sovereign) is sealed in its own protective perspex capsule and is housed in it a Royal Mint presentation case. The all important original Certificate of Authenticity is also included. 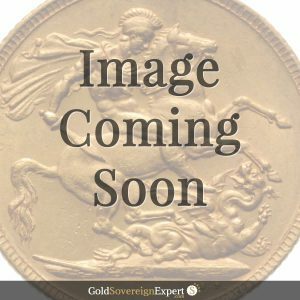 Featuring the Pistrucci’s iconic image of St. George slaying the dragon, the obverse side carries the image of Her Majesty, The Queen by Ian Rank-Broadley. 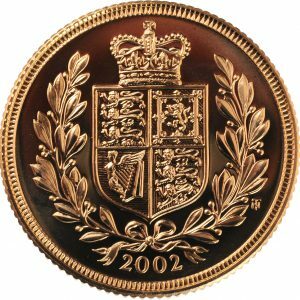 According to the Royal Mint, just 1,000 brilliant uncirculated £5 crowns were issued, with all being sold. If you complete payment using PayPal, you will be charged the amount published on this page. If you elect to pay via bank transfer (BACS) we will automatically apply a 2% discount to the published price to reflect the lower transaction charges we incur. 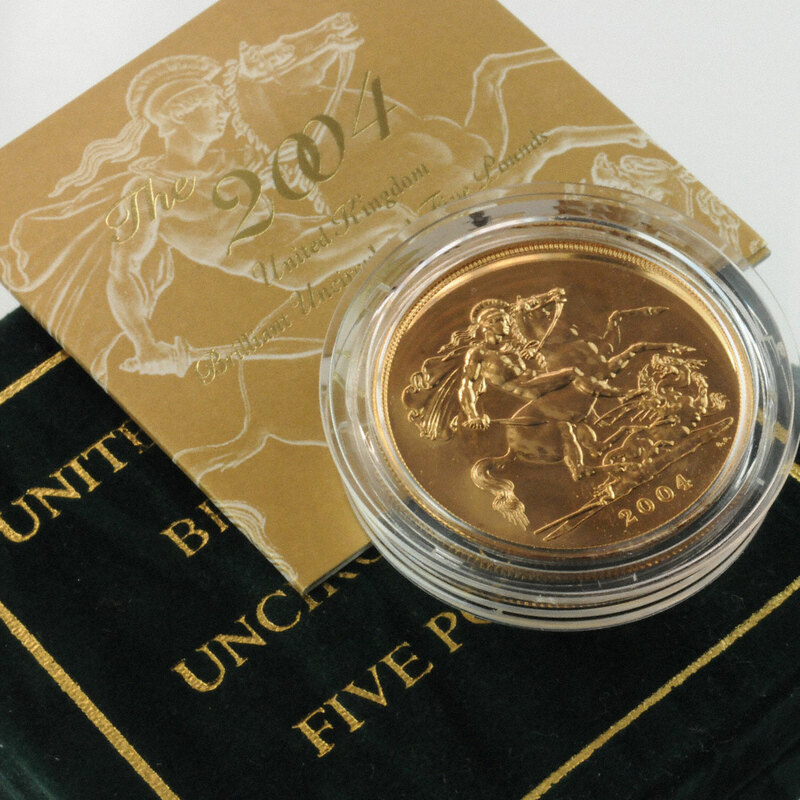 It is likely that you will see our products listed for sale on sites like eBay at a significantly higher price. The higher amount reflects the commission payments and costs associated with selling through that particular channel. Therefore, to purchase items at the best possible price, we always recommend buying direct through this web site.